Mirar que preciosidad de pendientes! son un poco caros asique nose si me los comprare o no...que pensais? Los encontrareis en House of Harlow 1960. Look what amazing earrings! they are a bit expensive so I don't know if I going to buy them or not...what do you think? 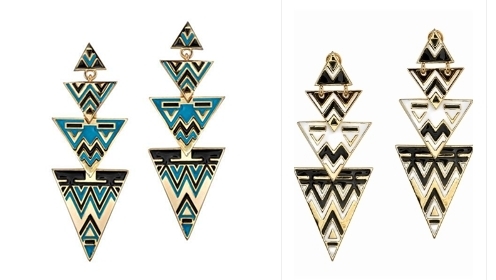 You find them in House of Harlow 1960.
me encantan estos pendientes!! entorno a cuanto estan? ?